We would love for USB-C to be as ubiquitous as possible, and to avoid using USB-A and MicroUSB cables and ports, but the truth of the matter is that we're still in a transition phase where smartphones have adopted the standard, computers are moving in that direction, and accessories are still (generally) lagging behind. 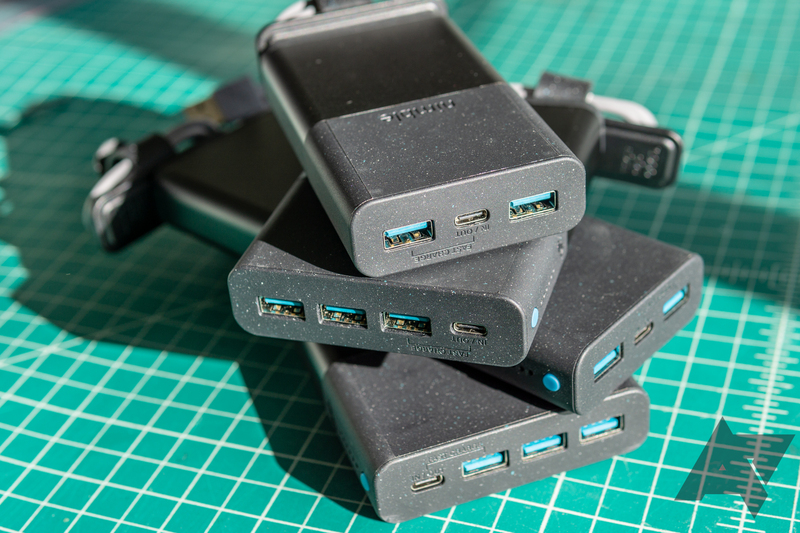 If you have multiple devices that can charge over USB-C, a hub that only provides one C port isn't ideal. But those with two ports or more are still a rarity. 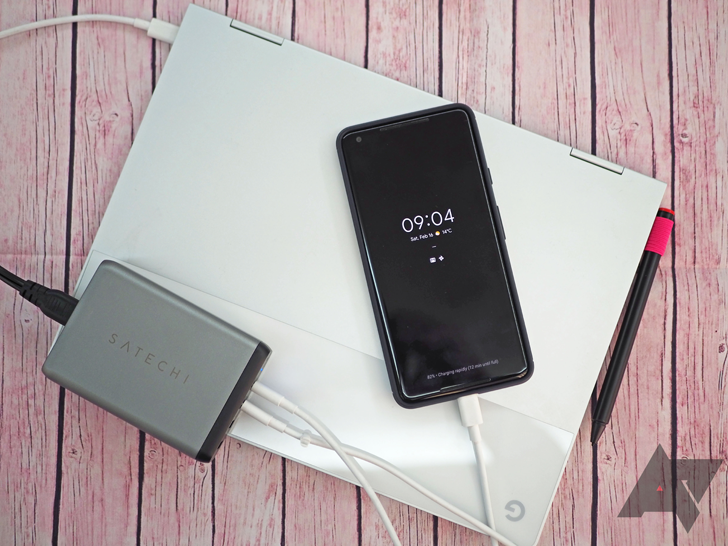 Aukey had the PA-Y6, but it turned out to be not up to spec; ZeroLemon and Scoche have some options, but their low output makes them less ideal for charging laptops; and Anker just announced the 100W PowerPort Atom PD 4, but it's not yet available and should cost about $100 when it does come to market. USB-C is becoming more and more ubiquitous these days, and while there's always a bit of confusion about compatibility, what's supported what isn't, and that new DRM-like authentication program, things have been mostly moving in the right direction. Options for chargers, cables, and other accessories are more varied now, and prices are dropping down. 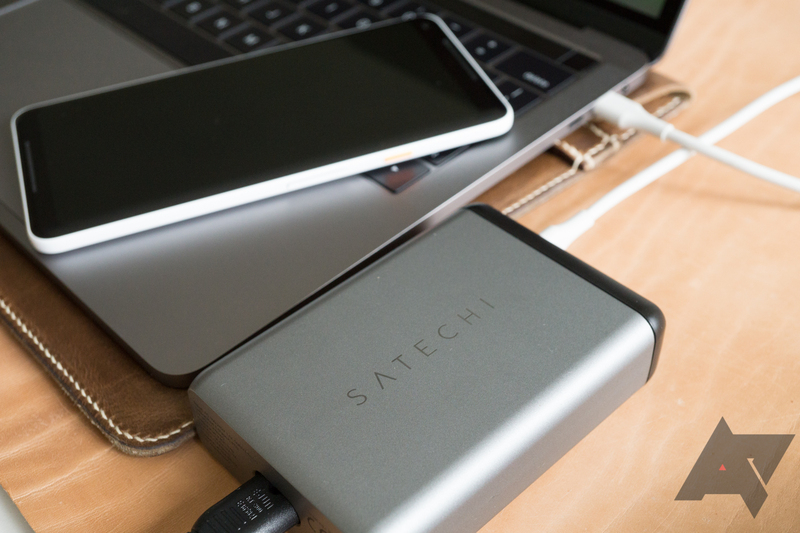 However, if you own a few USB-C devices, you may have noticed something: multi-port chargers often have just one USB-C output, with the rest being USB-A. With the exception of Aukey's 36W dual USB-C PD, I can't find anything from Anker, Ravpower, or other known brands, despite doing this search every few weeks. Mophie is well known for both the quality of its products and the hefty price tag attached to them, so we were interested when we heard that a handful of its employees had splintered off to start a new, eco-mindful power accessory company called Nimble. With consumer cost-cutting recyclable packaging and a focus on renewable materials, we were curious to see if Nimble could disrupt the battery and charger status quo — a highly competitive market. Unfortunately, Nimble's specs and prices just can't beat the competition. Mophie is a recognized name in the high-end electronics accessories space, and a few of the company's co-founders have just launched a new accessory brand called Nimble, with an eco-mindful twist: its products are made with more renewable and recyclable materials —bioplastics, hemp, and recycled water bottles — to reduce ewaste. From what we can tell, they don't sacrifice anything in style or function, either. When you travel, you get a good idea of the stuff it takes to keep your lifestyle going. It's one thing to be surrounded by all the things you need at home, but it's another to selectively pack them into a limited space with the expectation of maintaining the same standards. For me, the limiting factor has always been power: charging all my stuff means toting a pile of cables and bricks around. In fact, that's one of the biggest advantages of the growing ubiquity of USB-C and the PD spec. 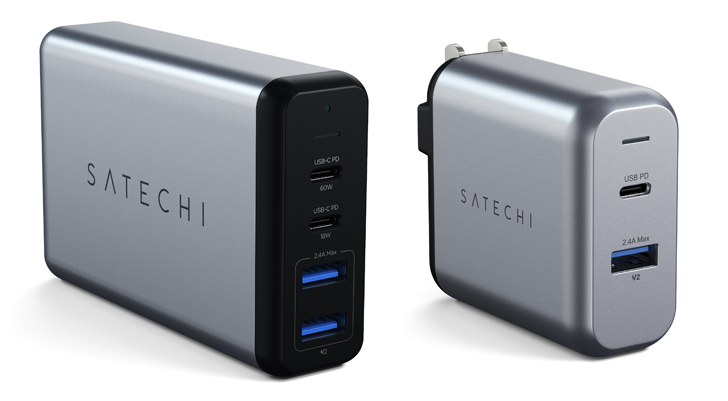 So when I saw Satechi's 75W Travel Charger, with one USB-C PD and three USB-A ports, I knew I was interested, and it didn't disappoint. If you weren't swayed by Amazon's Bluetooth speakers Gold Box deal or if you're looking for a solution to charge all the new speakers that you just bought, you might be happy to know that the Yubi Power 30W wall charger is being discounted to $8.99 — a whopping 82% off its original MSRP of $49.99. 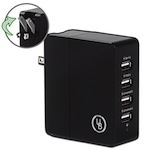 As with most wall chargers in this category, the Yubi offers several USB outputs with varying amperage. This particular model has 4 ports (nowhere near the 40 ports Yubi that Artem is drooling over, but you're not Artem so you should be happy with just 4, OK? ), divided as 2 with a maximum output of 2.1A and the other 2 with 1.5A. If you use all 4 ports together, you should know that the unit can't output more than 6.2A — which is still enough to charge 2 phones and 2 tablets rather efficiently.